If you need an experienced real estate broker in the Palmdale – Lancaster area, I’m at your service. My name is Wes Darby, and I am a Palmdale real estate agent at HomeBased Realty. I promise to give you the best experience with your real estate transaction possible. I am a full-time Realtor in the Palmdale Lancaster, CA area and am not a Realtor® as a side business. Therefore, I am dedicated solely to your real estate needs. I will be available, ready, and willing to show your listed property and give the proper presentation of your home to prospective buyers on short notice. For buyers searching for a home in the Palmdale, Lancaster, CA area, I am dedicated to taking the time necessary to helping you find the best home for you. I am very patient in helping you with your home search. I want your real estate transaction to be a positive, successful, and exciting experience for you. I am a sharp Palmdale Real Estate Agent who will listen carefully to your needs and instructions for me. I promise to deliver my best for you at all times. Call me and let’s talk real estate… I don’t bite. Raw vacant land or commercial property can sometimes take more time to deal with than residential real estate. I have technical skills which make showing and detailing raw vacant land or commercial property clear cut and easy to understand. I have a basic knowledge of real estate development requierments and inputs and can be helpful to prospective buyers or sellers in this area. I would love to be your Palmdale real estate agent–whether you are looking to buy a home, sell or list real estate, rent commercial property, or buy or sell raw vacant land to develop. Real estate investment can offer many tax advantages or tax shelters. While I am no real estate attorney, I can discuss the tax advantages of transactions such as: sale and lease-back, tax-free exchange of real estate of like kind, or depreciation of income producing property. I am a Palmdale real estate agent serving ALL of the Antelope Valley. I will credit $500 at close of escrow to anyone who sells/lists their Palmdale real estate property using me as their real estate agent!!! *property must sell for more than $400,000 (exclusive right to sell listing). Wes can be described using only the best of adjectives. He prides himself on integrity, energy, hard work, and great service in every detail of your real estate transaction. Wes knows how exciting it is for you to buy or sell real estate and doesn’t loose touch with that just because he does real estate transactions day in and day out. Wes is a graduate of Texas State University, where he received a BA in Marketing. 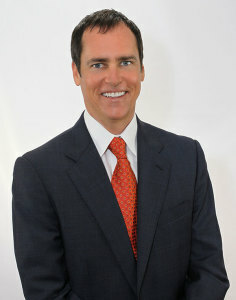 He then began to use his sales and marketing skills at a yacht brokerage in San Diego, where he worked for four years. Wes then became a landscape contractor and started an artificial grass installation and distribution business in San Diego which he expanded all across Southern California. After six years of successful operation, Wes sold his business which still operates to this day. Wes has applied his business experience and become an expert in skilled real estate negotiations, and knowledgeable analysis of property values and market trends. Wes prides himself on being a great listener and being able to draw out your specific real estate needs. 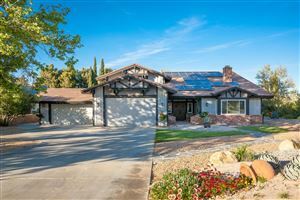 Wes relocated to the Palmdale, California area because of his love of the high desert land and climate, as well as the affordable housing, and more relaxed lifestyle. He was quickly impressed with the great value of the Palmdale real estate market. His belief in the value and growth potential of the area is what inspired Wes to become a Realtor himself. He now works at Home Based Realty in Palmdale, CA near the Antelope Valley Mall. In his free time you will see Wes on one of our local Palmdale or Lancaster area golf courses, as he is an avid golfer. Wes is also a gentleman farmer and has a small blackberry farm in Leona Valley. Call Wes today for any of your real estate needs in the greater Palmdale and Lancaster, CA area. Wes and the Home Based Realty team near the Antelope Valley Mall are the top real estate office in all of the Antelope Valley. I serve the areas of Palmdale, Lancaster, Leona Valley, Quartz Hill, Lake Hughes, Lake Los Angeles, Rancho Vista, and Rosamond… and don’t let it hurt your feelings if I didn’t mention your area. If you’re anywhere in the Antelope Valley I would be happy to help you. Palmdale, CA: 935550, 93551, 93552, 93553, 93536, 93543, 93590, 93591, 93592, 93597, 93598, 93599. Lancaster, CA: 93534. 93535, 93536, 93539, 93584. Leona Valley.CA: 93551 (shared with Palmdale, CA). In Quartz Hill, CA: 93586, 93536, and 93551. Choosing the right Realtor can mean the difference between selling your Palmdale home quickly or it languishing on the market. A great Realtor like me “Mr. Palmcaster” can sell your home quickly and for more money than other Realtors. I do this by simply out marketing the competition and going the extra mile. One of the most important things I do as a Realtor in Palmdale and Lancaster, CA is advertise your home or property to the best of my ability. I have a marketing degree, and career background that have given me skills that other Realtors don’t seem to have. You have many choices when picking a Realtor to advertise your Palmdale or Lancaster, CA home. Many Realtors will simply input the real estate listing information into our local MLS (Antelope Valley MLS is GAVAR(Greater Antelope Valley Association of Realtors)) and put up a sign and that’s it. I know that most Lancaster and Palmdale, CA home buyers search for homes online themselves. I make your listed Lancaster or Palmdale, CA home or commercial property stand out from the rest on the MLS and online. Most Palmdale Realtors take photos of your home with their cell phone for the MLS and other marketing they might do. 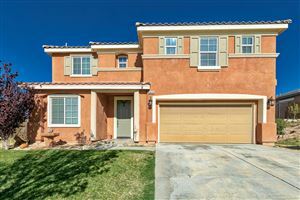 I am appalled at how bad some Lancaster and Palmdale, CA Realtors images are that they put on the MLS and online. Realtors who can’t even take and upload quality photos are bad for the entire Lancaster and Palmdale, CA real estate industry. These Realtors are especially bad for you the home seller. These are the one’s that give Realtors a bad name and make people think that Realtors are not adding any real value. This is one way that I am a better Realtor than most. I have a professional photographer that I work with and pay very well, because he’s worth it. This comes out of my/your Realtor’s money. Having a professional photography suite of your home or property helps your real estate stand out from the rest. When you stand out, you get more Lancaster or Palmdale, CA real estate buyers looking at your property. This leads to more buyers making offers on your home or commercial property. More offers equals thousands of dollars extra for you. That’s what you pay a Palmdale, CA Realtor like me for. Getting you thousands of dollars more for your home is my job and duty as a great Antelope Valley Realtor. I make virtual tours of all of my listings. As your Palmdale, CA Realtor I don’t want to waste your time or mine with tire kickers who will not be buying your home or property. By adding a virtual tour to your listing on the MLS and online when buyers look at your house with their Realtor, we know they are really interested. They already have a very good idea of the layout and overall condition of the house. As a professional Realtor I do open houses right. I alert other Palmdale and Lancaster, CA real estate brokers and Realtors of the open house well in advance. I advertise your open house online using the MLS, Craigslist, and anywhere else I can get exposure to Palmdale and Lancaster Realtors and their clients. Open houses are an ‘old school’ way to get the word out about your home for sale and bring awareness to other Palmdale Realtors and their clients. I am definitely a ‘new school’ Realtor. I use technology to syndicate your listing to hundreds of real estate websites. You never know on which website a home buyer will be searching, so we want to be all over the place, not just on the MLS. As a ‘new school’ Lancaster and Palmdale, CA Realtor I understand the importance of publicizing your home or property listing on social media. I have sold more than a few houses because one of my friends or associate Palmdale Realtors have seen a home or property that caught their attention. I use Facebook, Twitter, Google+, YouTube, and Instagram when appropriate. 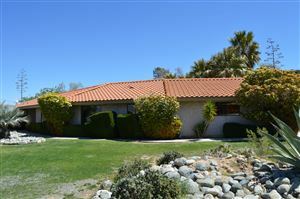 A great Palmdale, CA Realtor like me realizes the value of getting your listed property all the exposure possible. Another new marketing strategy I love is to have drone aerial photography taken of your property. Not all of my Palmdale real estate clients would really benefit from this. As your expert Palmdale, CA Realtor I will let you know, and pay for this extra marketing feature if it’s appropriate for your property. Drone aerial photography can really showcase a large or luxury property well and make it stand out from other homes on the market. As a Lancaster, CA Realtor I have helped many clients to buy or sell investment property. I’ve learned a lot about about real estate investment along the way. With the help of a great Palmdale Realtor you can make a better return on your investment dollar on real estate than anywhere else I’m aware of. Real estate investment does require a bigger capital outlay for a longer time period than most other investments which is one reason why the returns are bigger. There are many different Palmdale real estate investment strategies. One of my favorite real estate investment strategies that I see some of my fellow Realtors in Palmdale, CA using a lot is leveraging equity in one property to buy another and another. Basically a lot of Palmdale Realtors will buy a home with a mortgage and rent it out. The rent is enough to cover the monthly mortgage payment and some profit. The Palmdale investment Realtor will save this monthly profit and buy another house with a mortgage, leveraging any equity from appreciation of the first property. Several Palmdale Realtors I know use this as a successful investment strategy and keep refinancing to pull equity out and leveraging that equity to buy more and more properties. As a Palmdale Commercial Realtor I can help you by calculating Cap Rates and Gross Rent Multipliers. I can help calculate return on investment, vacancy, and expense factors. As your Palmdale Commercial Realtor I can determine the value of a property using the income approach. If you need help buying or selling Palmdale commercial property call me “Mr. Palmcaster” Realtor today. When you have an agency relationship with me as your Palmdale Realtor, I will use all of my real estate knowledge and experience to make the most profitable deal for you possible. Legally and ethically, as your Palmdale Realtor I work with your best interests in mind. The benefits of homeownership are vast. As a Realtor in Palmdale, CA I can explain to you the reasons that owning your own home is the smart financial choice if you are able. If you are searching to buy a home in Palmdale or Lancaster, CA I can really help. Most Realtors would have you do most of the work on your own and just show you the homes you like. I will teach you to search the MLS like a professional and save us all a lot of time and energy. The first place to start regarding your home search is what you can afford. I can help you arrange financing. We should get you pre-qualified or pre-approved for a certain dollar amount. I can refer you to several mortgage brokers in the Palmdale and Lancaster, CA area that you can shop. It’s important to compare rates of several local mortgage brokers in order to make your best deal. As your Palmdale, CA Realtor I will be there with you every step of the way. I am experienced in real estate negotiations, which are more complicated than you might think. Negotiations aren’t just about money but often are about inspection and repair items. Most real estate transactions that fall through, do so in the inspection and repair stage of the deal. As your expert Palmdale Realtor I will help you to negotiate your best deal and keep the transaction alive. I can help you sift through title reports and the mountain of paperwork like disclosures quickly. If you are looking to sell your home I would like to earn your business and be your Realtor. I start by offering you a free home value analysis. I work up a comparative market analysis (CMA) to show you what your home is really worth in the current competitive market. Pricing your home properly from the very beginning is important. This is tough for me as a Palmdale Realtor. Everyone likes to think that their home is worth more than the other properties just like it on the MLS. If we price the property correctly you will get offers and sell your home quickly. Trust in me as your Palmdale real estate expert, and let me find a fair market value for your home.